My sister got a reasonable amount from FAFSA this year and bought a new laptop. 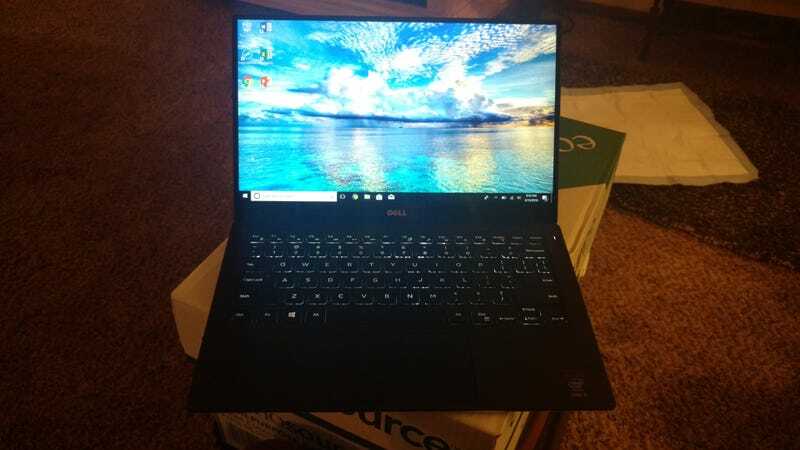 XPS 13, per my recommendation. I am so jealous. This thing is absolutely glorious. 5th gen i5, 8GB RAM, SSD, ridiculously good speakers that I assume use some weird beamforming crap to sound WAY farther apart than they are, and the most stunning screen I’ve seen on any laptop ever. Why can’t non-Apple OEMs figure out touchpads? The best we get is “yeah this isn’t as bad as trying to control a mouse with a Kinect” though 99% of my complaints about modern touchpads boil down to “there is no physical mouse buttons so I can never consistently right-click without looking down to make sure I’m touching the right part of the touchpad”. Meh.